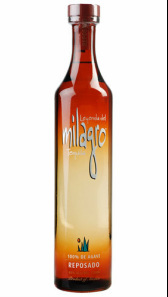 Milagro Tequila has been around since 1977, but now that Scottish distillery William Grant & Sons have muscled in with their distribution know-how, look for Milagro (miracle in Spanish) more and more. Founded by two college students passionate about Tequila, there are now six different versions to choose from, the Super Premium Line and the high end Select Barrel Reserve Silver, Reposado and Anejo. The Select Barrel Reserve varieties enjoy their lengthy aging and mellowing in French Oak Barrels, equaling the quality of the hand blown glass bottles, countered around the outline of an agave plant. All Milagro Tequilas are produced in small batches up in the highlands of Jalisco using clay ovens, and the slow roasting is allegedly six times longer than that of its competitors. The triple distillation rounds off the process to produce a premium tequila that this writer anyway found extremely smooth and of a superior taste. Other writers have found the Silver to be a bit harsh for their palate, but no similar complaints with the Reposado or Anejo versions. The Super Premium Reposado is aged about six months in American Oak, and the sweet tasting Anejo for eighteen months, although for the Select Barrel versions that time frame is extended for up to three years for the Anejo. The Reposado in particular is of superior quality, partly because I was told due to the lack of caramel which is normally added to most reposado’s. Instead you get a taste of milk chocolate, nougat, green vegetables and oak. 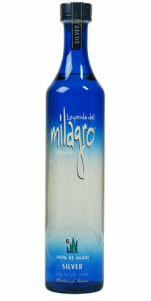 Milagro has also won a fair sprinkling of awards recently, including the 2008 London Spirits Competition Best in Class for all three varieties, and even more recently a cachet of awards at the just concluded 2009 San Francisco Spirits Competition. Milagro also proudly boasts that their tequila is ideal in creating the “World’s Freshest Margarita,” by adding the syrupy agave nectar and lime juice instead of the normal margarita mix. Browsing around liquor retailers on the internet I found a large variance on how much some of the Milagro brands can cost all the way from $22 for the Premium Silver up to $90 for the Select Barrel Reserve Anejo. There are also a large variety of types and styles if you are not overly familiar with the brand, which is slightly confusing, but the effort to track down the right Milagro brand for your particular taste will be well worth the effort. In particular, Milagro Romance is extremely high end and looks like a tequila well worth investing in.